CASTLE frequently hosts visiting scholars from both international and domestic universities that come and learn with us here in Lexington. If you are interested in visiting us as a scholar, please let Jayson Richardson know of your interest. 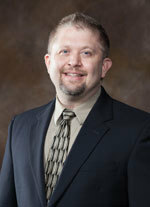 Dr. Beck taught as a visiting assistant professor at Boise State University from December 2008 through May 2010. Before that, he was an adjunct faculty member and graduate teaching assistant at the University of Florida from 2005 through 2008. He also worked as an instructional technologist and instructional designer for Information Technology Group in Gainesville, Fla., from 2003 through 2008 and as an instructional designer fro Crossroads in Orlando, Fla., from 2001 through 2003. He worked as a trainer for the Orlando Institute from 1994 through 2001 and as a database programmer for Computer Services in Orlando from 1991 through 1994. 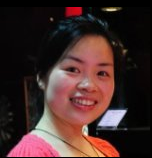 Yinying (Helen) Wang won 2013 UCEA Program Centers Graduate Student Fellowship to conduct research on school technology leadership at CASTLE. Helen is a doctoral candidate in Urban Educational Leadership at the University of Cincinnati. She worked as a classroom teacher and school administrator in China for seven years before moving to the United States for graduate school. Helen primarily utilizes quantitative method and social network analysis to study educational technology leadership in the digital age. Her publications addressed schools’ use of social media, digital inequities in virtual schools, and the applications of social network analysis in technology leadership scholarship. In addition to 2011–13 Barbara L. Jackson Scholar and 2013 David L. Clark Scholar, she is also a UCEA Graduate Student Council (GSC) member, and serves onGSC Summit planning committee. Dr. Sathiamoorthy Kannan is a Senior Lecturer at the Institute of Principalship Studies, University of Malaya, Malaysia. His area of specialization includes Management of Innovation, Management of Computer Education, Evaluation of Learning, Curriculum Leadership, School Leadership and Management, School Effectiveness and Improvement, Research in Principal Technology Leadership. He is now a short term scholar at the Department of Educational Leadership, University of Kentucky, researching on the School Technology Leadership program offered at UK. Mehmet Sincar is an assistant professor at Faculty of Education, University of Gaziantep in Turkey. He focuses on technology leadership, particularly professional development, digital citizenship and cyber ethics in education. He earned his Bachelor’s Degree in Electronics Education from University of Gazi, a Master’s Degree in Educational Administration from University of Gaziantep, and a Ph.D. in Educational Administration from the University of İnönü.